Arktikum and Church of Sodankyla are good opportunities to explore the local culture. Get outdoors at Safaris and Ounasvaaran Hiihtokeskus Oy. Explore the numerous day-trip ideas around Rovaniemi: Tornio Church (in Tornio), Kemi (Sampo Icebreaker & Kemi Church) and Kopara Reindeer Park (in Luosto). There's much more to do: find something for the whole family at Santa Claus Village, explore the different monuments and memorials at German Soldier s Cemetery, snap pictures at Lumberjack's Candle Bridge, and pause for some serene contemplation at Rovaniemi Church. 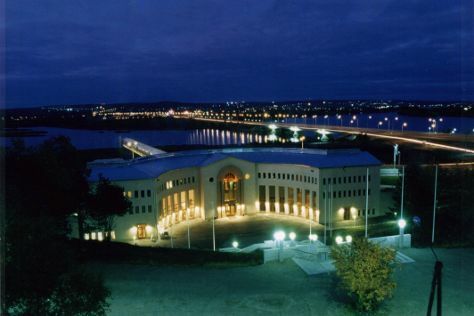 To see more things to do, where to stay, other places to visit, and more tourist information, use the Rovaniemi trip itinerary maker site . In March, daytime highs in Rovaniemi are -1°C, while nighttime lows are -9°C. Finish your sightseeing early on the 5th (Tue) to allow enough time to travel back home.